Product prices and availability are accurate as of 2019-04-16 07:06:41 EDT and are subject to change. Any price and availability information displayed on http://www.amazon.com/ at the time of purchase will apply to the purchase of this product. 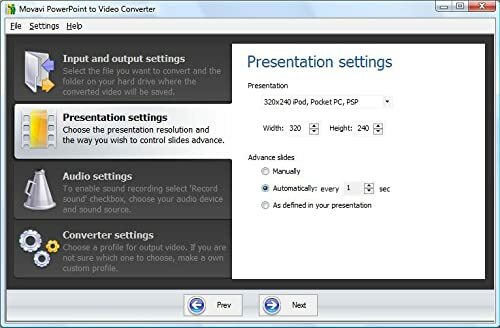 Movavi PowerPoint to Video Converter allows you to create powerful video presentations directly from your PowerPoint presentations. We use PowerPoint presentations for all sorts of different reasons – creating academic projects, business presentations, even home-made comic books. The only problem is that your audience needs to have PowerPoint in order to view those presentations. Movavi’s solution for this problem is elegant and effective as always: PowerPoint to Video Converter will encode your PPT files into a video that you can play back on any mobile device, home DVD player, Mac, or PC. 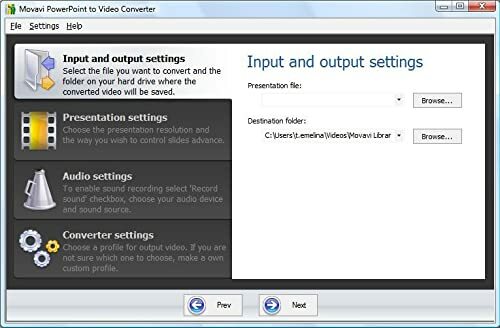 Change soundtracks: record speakers, microphone, or your own narration while converting PPT to video and comment on slides you see on the screen. It’s far more elegant and persuasive to present from a video than to simply play a slideshow. And now it’s convenient, too: you can load your videos onto a USB drive, play them back using any media player on computers running Windows, OS X or Unix, and distribute them on DVD for DVD players with MPEG-2 support. 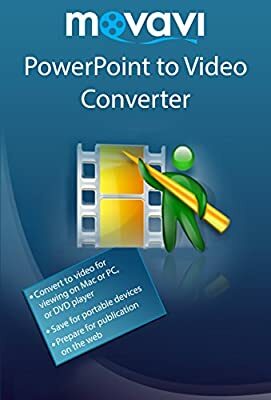 Convert Microsoft PowerPoint 2000, XP, 2003, 2007, 2010, 2013 presentations – .ppt, .pptx, .pps, .ppsx, .pptm, .ppsm, .potx, .potm, .pot – to more than 170 video formats: AVI, MPEG-1, MPEG-2, MP4, FLV, MOV. Thanks to predefined settings specific to each of a long list of mobile devices, you can convert presentations to video files that will perform and display perfectly on your device. Transfer your presentations to iPhone, iPod, iPad, Sony PSP, BlackBerry, and other mobile devices so you can rehearse your presentation on the go. 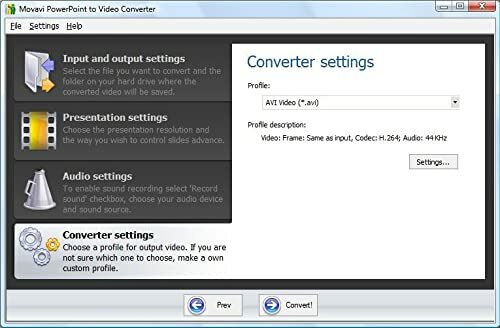 When you convert PowerPoint presentations to video, you can add music and a voice track. Turn on the Record Sound option and choose Microphone – now you can comment on every slide when the conversion starts. To add background music, choose Speakers and start playing back the music via a media player alongside the conversion. Please note that you will need to activate your copy through the Help - Activation dialogue box using the license key provided to you by Amazon after you complete your purchase.